On June 28 and 29, 2018, the White Earth Nation/Becker County DWI Specialty Court team attended the National Center for DWI Courts MN Operational Tune-Up Training in Bemidji, MN. The multidisciplinary team consists of the judge, prosecutors, probation agents, licensed chemical dependency counselors, compliance officer, law enforcement, and specialty court coordinator. The team strives to continually improve the quality of our program and is committed to providing our participants with the tools and support necessary for them to change their behavior, improve their lives and productively reengage in our community. The mission of the Becker County Attorney's Office is to enhance public safety by aggressively and fairly prosecuting those who violate the law; to provide quality legal representation to county government; and to steadfastly protect the rights of crime victims and advocate the cause of justice. 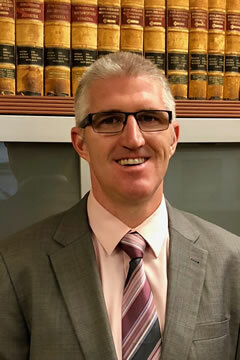 The County Attorney serves as the chief prosecutor of all adult felony crimes and juvenile offenses in Becker County. The County Attorney is also responsible for providing legal counsel to the County Board of Commissioners and all county departments, as well as representing the county in civil lawsuits, child support matters, child protection actions and mental health commitments. In order to perform required duties, the Becker County Attorney has an experienced staff of assistant county attorneys, legal assistants, and a crime victim/witness coordinator. The County Attorney and staff are not permitted to represent, or provide legal advice to, private citizens. County Attorneys are not investigators and do not investigate crimes. All complaints of criminal activity need to be reported to law enforcement officers, who then gather the evidence and, when appropriate, submit the case to the prosecutor for review and a charging decision.